The National Sleep Foundation says most adults should get seven to nine hours of sleep each night. However, in our busy lives, it’s difficult to find the happy medium — research shows that 40 percent of American adults get fewer than the recommended hours. While we know getting too much or too little sleep can lead to increased risk of diabetes, new research shows it can also increase the chances of certain types of cardiovascular disease, especially in women and the elderly. Researchers from Norway and Taiwan found that getting less than four hours and more than eight hours of sleep can increase the likelihood of death by some types of heart disease, like heart attacks or unstable angina pectoris, also known as angina. 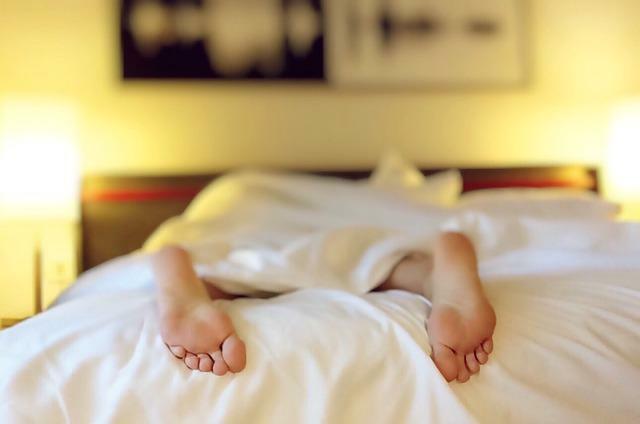 "This is the single largest study that has looked at how sleep duration affects the risk of dying from cardiovascular disease,” said first author Linn Beate Strand, a postdoctoral fellow at the Norwegian University of Science and Technology, in a press release. “Our results show that enough, but not too much sleep is important for a healthy lifestyle." Doctors asked nearly 400,000 Taiwanese adults who came in for a health check between 1998 and 2011 how much they slept during the night. Of those participants, 711 died of heart disease in that time period. The researchers found the risk of death increased by 50 percent for all those who slept less than four hours a night when compared to those who got the recommended amount. Even after adjusting for pre-existing factors like having a less than favorable risk profile for heart disease, there was still a 36 percent increase in chance of death. Though the exact reason why too little sleep ups the risk of death by heart disease is unknown, we do know lack of sleep impacts our gut bacteria, which can lead to weight gain and the chance of acquiring diabetes. Strand believes missing out on shut eye is associated with stress responses that shoot up a person’s heart rate, blood pressure, and adrenaline, which in high levels can cause cardiovascular disease. On the flip side, getting too much sleep is just as detrimental. Participants who reported sleeping more than eight hours had a 53 percent increase in death by coronary heart disease when compared to those who slept between six and eight hours. After adjustments for other risk factors, the chance of death still saw a 28 percent increase. "We don't know which mechanisms can explain a direct causal link between long sleep duration and an increased risk of dying from coronary heart disease," Strand said. The researchers noticed that women were particularly affected by shorter or longer sleep times, as were people older than 65. "Women are more prone to sleep problems than men, and previous studies have also shown that women who sleep a little or a lot may be at increased risk for cardiovascular disease," Strand said. However, he said the findings don’t necessarily mean sleeping too much or too little is more dangerous for women than it is for men. Source: Strand L, et al. Self-reported sleep duration and coronary heart disease mortality: A large cohort study of 400,000 Taiwanese adults. International Journal of Cardiology. 2016.